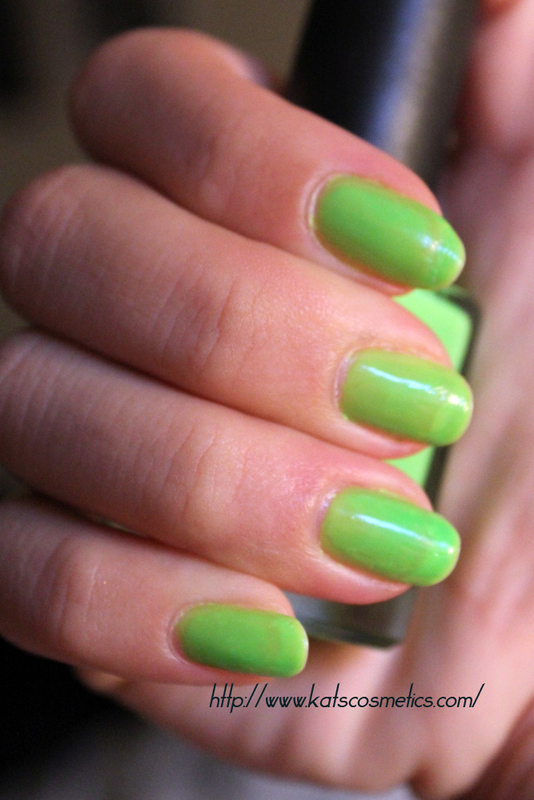 Lime Starts Here is the neon green from the Wicked Sweet Collection. I wanted this because its a neon color. It is like a summer color, also this is my first color club nail polish ! I dont like this. I adore the color but nothing else. It does not last long at all. I had this color for like only one day, and they've already start to come off. The pigmentation is poor, too. I apply four coats on my nails, but you can still see my nail parts underneath the color. It is scented, but I dont like the smell at all. To me, its like a vanilla ice cream. I love vanilla but don't like they make a nail polish smells like that. I guess it depends, I am sure some people like those. Its cheap, but you can see the quality from the picture that they dont worth it. I am sure you can make some nail design with this cute color but I would not try to use it on all my nails!